The DVBA has renewed its commitment to enhancing the appeal of downtown in the evening by continuing its ILLUMINATE Downtown program. Grants of 25% of the cost of purchasing and installing lights for aesthetic or security purposes are available to a maximum of $5000. Please go to our website for more details or contact Ken at ken@downtownvictoria.ca or (250) 386-2239. For more information on Chinatown, click here. Check out Ballet Victoria's "Carmina Burana, March 26-28 at the Royal Theatre in Victoria and April 7th at the Cowichan Theatre in Duncan. The Chinese Consolidated Benevolent Association's annual traditional Chinese New Year Celebration and Lion Dance will take place on Sunday, February 21. Fisgard Street in Chinatown has some new decorations and all is set to go. There is usually a large crowd at the even, so get there a bit early and stake out your spot. 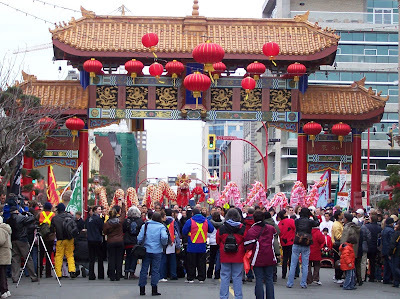 Starting at approximately 12:00pm, this colourful procession will make its way throughout Chinatown for about 1 1/2 hours. The ceremony is colorful and exciting. I have been most impressed with the composure of our Canadian Olympic Stars. 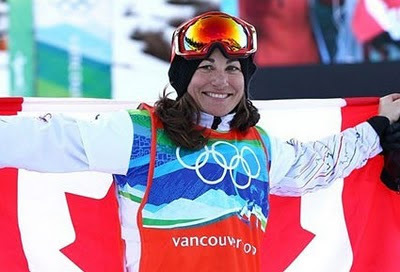 Starting with Jen Heil who took silver in Freestyle Skiing, and Canadian Hero Alexandre Bilodeau who won our first Olympic gold medal won on Canadian Soil, followed by Mike Robertson winning a Silver in Snowboarding, Kristina Groves wh won silver in Speed Skating, and today Maelle Ricker (Mighty Mouse) who won Gold in Snowboarding. They have accepted their awards with graciousness and handled the press who stick mikes in their face and ask really dumb questions, rather than congratulating them and telling them how we all love and support them for what they are doing. Everyone of them have respresented Canada superbly. Well done athletes. Learn More. This ever-popular event, organized by Tourism Victoria and the BCRFA, runs from February 18 – March 7. Participating restaurants offer three-course meals for $20, $30, or $40 per person, while hotels offer stays for $69, $79, $99, and $129. A Gala Launch starts the event off, held February 17th from 5 – 7 pm at the Harbour Towers Hotel & Suites (345 Quebec). At the launch event, 28 Dine Around participants will be showing off their food, paired with VQA wines, in an evening to remember. Details on both events are available at www.tourismvictoria.com. 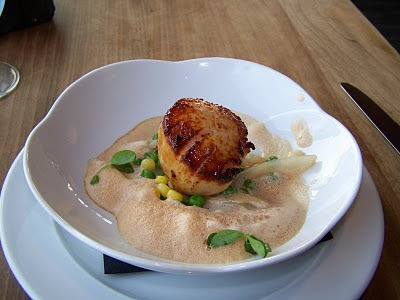 We have taken part over a number of years and the food is great and the deals awsome. Check it out. 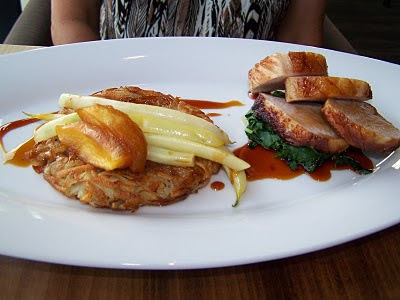 For more information on Victoria Restaurants, CLICK HERE. Recently our friends in Guadalajara, Raul and Peggy rescued a baby hummingbird from their garden. The petitie little bird had been unable to fly for 3 days. When they picked her up, she seemed to realize that she was getting loving help. She let them hold her and became so calm that after a while, she just sat quietly on Peggy's hand and looked up at up at Peggy for 2 days and one night. She was fed every 15 minutes. 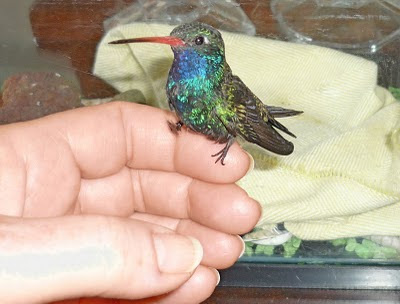 Then when she was put back in the garden in a glass cage, the other hummingbirds gathered around her. Then suddenly, she just flew away on her own. That night they spotted her on the feeder right beside them. They new it was her because of the distinctive left wing and her tiny body (much smaller than the others). They named her Esperanza Guadalupe. Esperanza means hope and many females in Mexico are named Guadalupe. It is obvious that Peggy's mothering instincts saved this little bird. It is also a great example of the deep bond we have with all the living things on this planet we all share. What a lovely story. Thanks Peggy and Raul. Spring has sprung in Victoria. Recent temperatures have been a few degrees above normal. The next few days look like 10-11 degrees C. As a result, the cherry blossom trees are starting to happen. Trees are turning pink throughout the city. Other trees are showing signs of leafing. The daffodils are up and snow drops are everywhere. I would say spring has arrived, just in time for the "Winter" Olympics. Good thing they are not in Victoria. 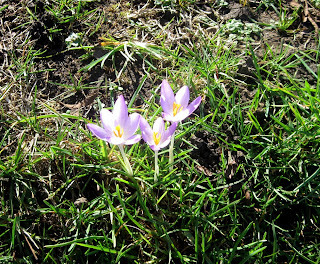 Each year in the early spring in Victoria (February 25 – March 4) Victoria begins a ritual, described as a "flower count". It is really an opportunity to gloat over the rest of Canada. Obviously spring comes first to Victoria and then to the rest of Canada. In any case, it is done in good fun. To help involve visitors to Greater Victoria (and locals too) in the flower count this year Butchart Gardens has developed a way for them to help Butchart count the flowers at The Gardens. Butchart Gardens is dividing the gardens into seven sections with one section being counted each day of the flower count. Visitors can pick up a counting report sheet (specifying the area to be counted) from either the Admission Gate or the Info Centre on the day of their visit. They can count the flowers and turn in their report. We will tally the total and divide by the number of participants to get an average count. This number will be submitted daily to the Flower Count web site. 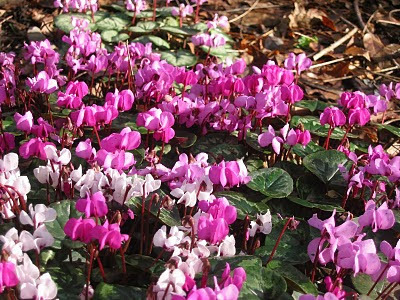 On March 4th, the Gardens will post a list on our web site of the number of flowers counted per section and the number of participants. If visitors give their name and city that will be posted too. From February 12-14 Victoria’s Centennial Square next to City Hall will come alive with Livingcolours 2010 Spirit Spectacular which will feature exciting events, sports activities and live performances. 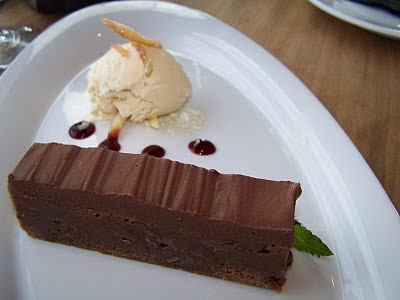 This will take place during the opening weekend of the Vancouver 2010 Olympic Games. This event will take place rain or shine. Admission is free. Come and see Centennial Square come alive with and brilliant burst of color, energy and excitement! Vancouver Island 2010 Olympics: be sure to stop by when you're in the neighbourhood! When you visit Vancouver for the 2010 Olympics, be sure to hop over to Victoria & Vancouver Island while you're here - we're not as far away as you think. For more info on how to get here, where to stay, and for things to do while you're here, check out our Victoria and Vancouver Island Travel Directory! It was a rainy albeit balmy January in Victoria - the mildest January on record! The grass is greener than I've ever seen it here. And today when the sun came out, so did the flowers. Robins are singing, cherry trees are blossoming, and the scent of spring is in the air. If you're tired of winter, why not visit us here in Victoria BC? If you're going to be in Vancouver for the Olympics and want to have fun without breaking the bank, visit the City Caucus blog where you can check out Daniel Fontaine and Mike Klasson's comprehensive Vancouver 2010 Free Events Guide! You can also share your Olympic photos, videos, comments, and opinions here. The countdown is on - the Games begin next Friday!